This bright, tempting, and silky sur lie aged Sauvignon Blanc boasts aromatics of ripe stone fruits, mainly white peach and yellow melon. The wine has lively acidity of yellow fruits and hints of peach. This single vineyard Sauvignon Blanc exhibits classic Napa Valley flavors, with a crisp and complex long –lasting, refreshing finish. 100% Sauvignon Blanc. The 2016 Sauvignon Blanc exhibits a vivid varietal character that is rooted in our estate Margarita Vineyard. Here, amid one of the Paso Robles region’s coolest growing environments, the Sauvignon Blanc grape achieves a fine balance of ripeness and raciness, with crisp acidity and appealing mineral accents. The 2016 Sauvignon Blanc leans into the nose with vivid varietal signatures, including notes of lime zest, grassy herb and gooseberry. The palate is crisp and clean, offering quenching flavors of grapefruit, white peach and green apple. Brisk acidity cascades into a refreshing finish. The pungent liveliness of the 2016 Sauvignon Blanc is a fine match for crab cakes, shrimp pasta in white wine sauce, grilled asparagus, Thai chicken salad, and salmon with lemon and dill. Jim Clendenen graduated from the University of California, Santa Barbara, with High Honors in Pre-Law in 1976. It was during his “junior year abroad” in 1974, while turning 21 in France, that he discovered life beyond tacos. After graduation, a one month stay in both Burgundy and Champagne convinced him to attempt a career in wine rather than continue on to law school. 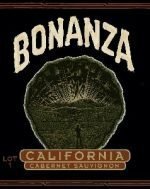 Beginning with the 1978 harvest, Jim Clendenen was assistant winemaker at Zaca Mesa Winery for three vintages, and in 1982, started his own winery – Au Bon Climat. The 2016 Au Bon Climat Pinot Gris – Pinot Blanc, Central Coast is simply delightful – a great summer refresher! This is the wine, once discovered, that will become your house white- it's just too thoroughly agreeable to ignore. A refreshing, dry white with citrus lemon/lime notes, flinty minerality, and crisp finish. In the mouth the wine is rich and textural, from the time spent on lees in the barrel. This is a great match with shellfish of any kind, or richer white meats such as turkey or duck. The 2016 vintage officially was the last of the drought vintages that began in 2012. While they were all marked by long hot summers and early harvests, both ’15 and ’16 featured lower yields than the preceding years. The upside to low moderate yields is that the grapes that were there picked up added levels of intensity and depth. This vintage was sourced from a variety of vineyards in the Sonoma Coast. 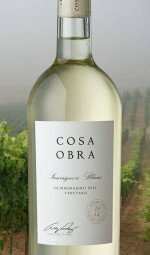 These vineyards tended to deliver fully developed flavors at relatively high natural acidity, giving remarkable length and verve. This wine leans towards orchard fruit showing both apple and pear but also hints of tropical fruits and vanilla bean. In the mouth the wine is moderate weight but packs extraordinary depth of flavor, echoing the aroma with fuji apple, meyer lemon, sage and vanilla panna cotta. The finish is all energy with mouthwatering citrus notes. Banshee Wines was founded by three friends from the Midwest and East Coast who shared a passion for wine and a lifelong dream of owning their own winery. Their fascination with wine started early in life. While their peers were drinking Milwaukee’s Best, they had an afﬁnity towards collecting European wines and hosting dorm room wine tastings. Post-college, each pursued a career in the wine industry, ranging from importing wines, to winemaking, to distribution and sales. When their paths ultimately converged in San Francisco in 2009, they pooled their money together to make the ﬁrst vintage of Banshee Wines. 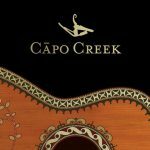 After a few years, they migrated up to Healdsburg, where they’ve developed strong relationships with the owners and growers of some of the best and most coveted vineyards in Sonoma, working in lock step with them to produce wines of depth, purity and balance. They strive to make wines with the complexity and deliciousness of those found at the very top of the quality and price scale, but at a price that is affordable for everyone and not just the uber-wealthy. 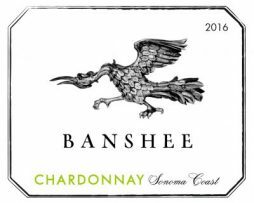 The Banshee Sauvignon Blanc 2016 comes from a combination of vineyards in the Russian River and Dry Creek valleys. These areas are perfect for the style of Sauvignon Blanc we all love – a combination of sufficient daytime warmth to develop exuberant fruit flavors and plenty of morning/evening coolness to preserve lip smacking structure and vital tart and green-tinged flavors. In addition, they like to utilize the charms of the musque´ variation of Sauvignon Blanc to highlight the lifted perfume and floral aspects it brings. About 30% of this wine is powered up by musque´ (think X-Men). The wine is immediately charming for its floral bouquet of lilacs and daisies. This leads into a medium weight blend of honeydew, lime, pear, and sea salt flavors. These flavors linger on the fresh, well-integrated citrus line that runs through the long, tangy finish. Although Markus Bokisch was raised in California, he spent his childhood summers in Spain with his family. In the Spanish tradition, he was given wine with water at meals.Little did Markus know, his tastebuds from then on were programmed towards Spanish wines. Using their Spanish connections Markus and Liz Bokisch began importing budwood and in 1999 they planted the Las Cerezas Vineyard, known as their “motherblock,” of Tempranillo, Albariño and Graciano. 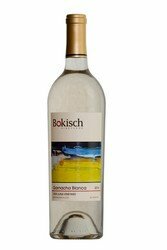 Garnacha Blanca, known as Grenache Blanc in France is the white berried form of Garnacha which originated in Spain’s northeast corner. It is medium bodied and aged in a small percentage of neutral white oak barrels. It is a perfect balance of fresh fruity characters such as white peaches, orange blossom and thyme combined with smooth creamy flavors of melon and apple cider. This drought friendly grape grows fabulously in California! Garnacha Blanca: Perfect summer wine. Soft & silvery on the tongue. A lovely minerality that lingers on the palate in the very best way. Enjoy with grilled scallops and asparagus and say hello to heaven! 260 cases produced. Rich and well balanced with the perfect amount of acidity for pairing with high flavored foods, but not too much to make you want to grab your TUMS (T). This selection is so approachable that even the non-white lovers become fans. We like it with Mexican, especially Shrimp Diablo. But then again, we like everything with Mexican. 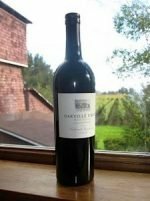 Carol Shelton originally created the 2008 version of this wine to celebrate the 10th anniversary as a winery in 2010. 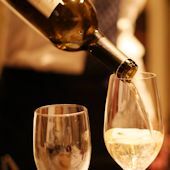 With the exotic complexity and food friendliness of a white Rhone-style blend, it is a “red-drinker’s white,” a complex alternative to the more one-dimensional white varietal wines like Chardonnay and Sauvignon blanc. It is the perfect complement to its namesake shellfish, as well as chicken or pork dishes with buttery-creamy sauces. Exotic nose of spicy pears and white peaches, almond paste/marzipan, a touch of honeysuckle perfume. Multi-dimensional, a hard-to-describe range of aromatics, intriguing, almost mysterious! In the mouth it is crisply dry yet creamy and round and full-bodied, with nice almond paste on crisp-yet-juicy pear fruit. 46% Grenache Blanc 24% Roussanne 24% Viognier 6% Marsanne. 1203 cases produced.